Eddie Van Halen is taking legal action against sportswear giant Nike over the use of his signature guitar colour scheme on their new Dunk Low range. 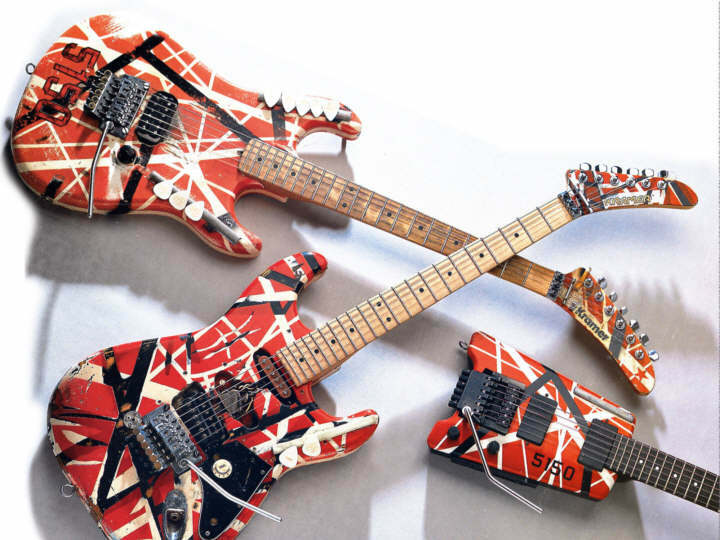 The rocker (left in picture) claims that he trademarked the iconic red, white and black striped colour scheme adorning his ‘Frankenstrat’ guitar (which can be viewed at Vintagekramer.com) in 2001. In the lawsuit, Van Halen accuses Nike of damaging his image and causing “irreparable harm and damage” to his design. The guitarist is seeking both monetary retribution and “the impoundment and destruction of all footwear”, reports Spinner. Van Halen launched his own line of footwear, EVH Shoes, featuring the ‘Frankenstrat’ colour scheme earlier this year.